Taken last week. This week the trees are almost bare. 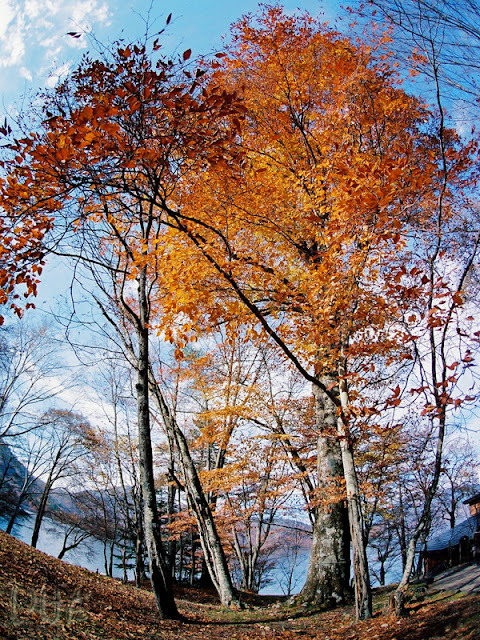 By Lake Chuzenji. Fisheye, on film. 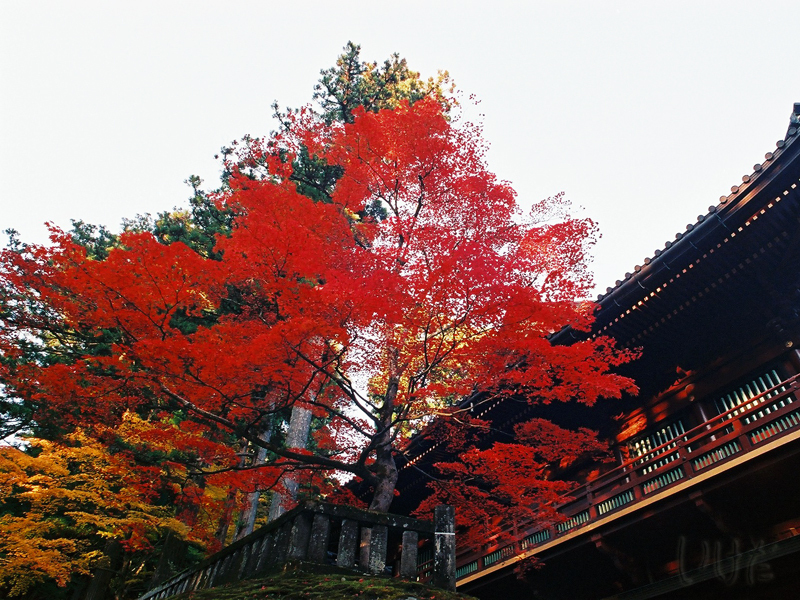 By Rinnoji in Nikko. Also on film. This is a Scenic Sunday entry. Beautiful fall foliage...that I never get tired of. Lovely shots. Wow, awesome shots! The trees and scenery are beautiful. Wow - I love the vertical fish eye shot with that orange against the blue; and, as you know, that red in the 2nd photo blew my mind too. I have several shots that are virtually identical to the second photo, but haven't had a chance to sort through them yet (so I'm happy the weekend is approaching).